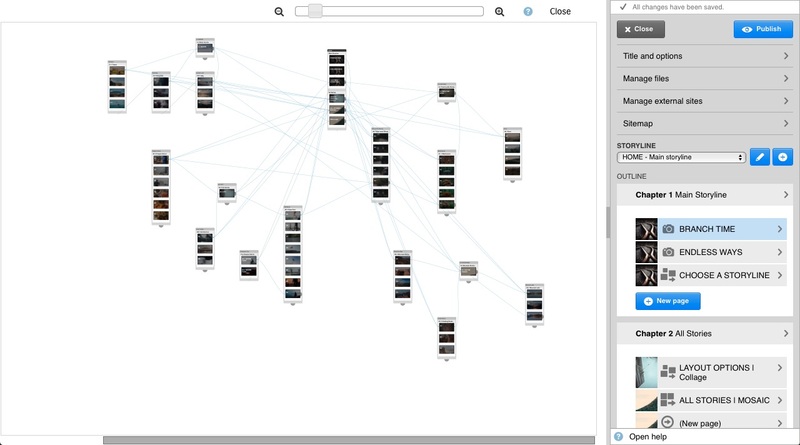 Pageflow now provides new tools to create complex, non-linear stories. Using “Storylines” enables you to build as many branches from the main storyline as you need so that users can use different ways to immerse into your story. For every branch, you can easily define the target page of the new „Back Button“ or where scrolling at the end of a chapter will lead to. To keep the overview of all possible interconnections, this update offers you “Sitemap”, a new feature to visualize all pages and their conjunctions. At the same time, “Sitemap” will let you edit your story even faster and more efficient: clicking any element in “Sitemap” will automatically open the corresponding editing window. Using this tool, you can now update a page directly and without any detour in the blink of an eye. Furthermore, if you are planning your stories with classical storyboards, you can now easily transfer the basic structure of your story into “Sitemap”. 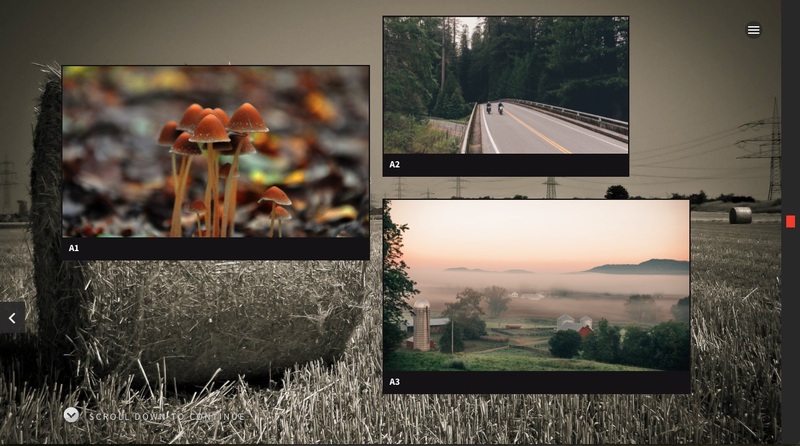 These excursions can be created with “Hotspots”, “Mosaic” and the new page type “Collage”, which is also coming with this update. Like all link pages, “Collage” offers interaction to your user, enabling him/her to decide how the story will continue, respectively which part of the story he/she wants to experience first. The concept of “Collage” is to link items of a specific order (chronological, alphabetical, etc) via thumbnails. The thumbnails can be of different sizes and it is possible to align them right, center or left. You can even move them freely on the vertical axis. If you want to list up historical events in a timeline or work with multiple choice elements, “Collage” is the tool to use. We created an exemplary demo to help you experience the new features. A detailed instruction how to work with the new features can be found in the help section of the Pageflow-Editor. If you still have questions, please refer to our ticketing system in the support forum as usual.